What will happen when water and vegetable oil mix with Alka-Seltzer? 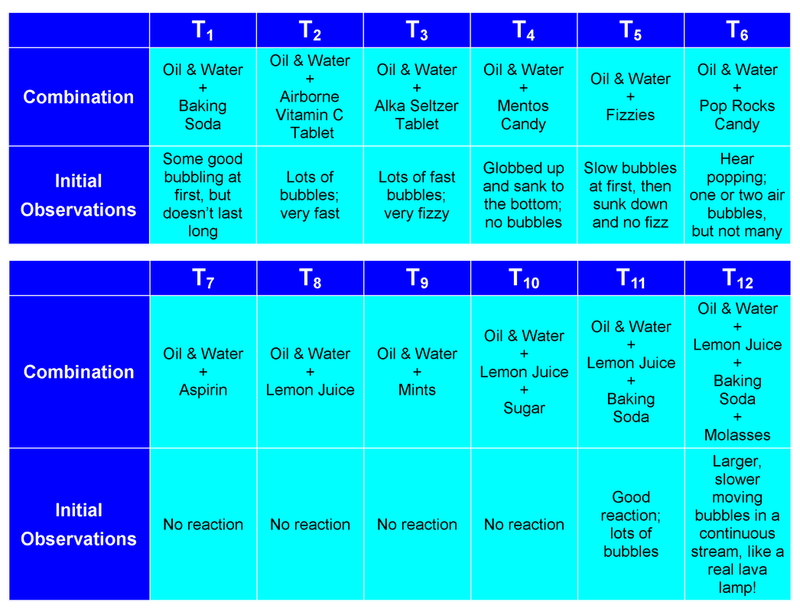 We think that the Alka-Seltzer will cause a reaction to the liquids, causing the liquids to fizz and bubble. 2. Do the experiment on a paper plate so the materials do not stain the table. 3. Keep paper towels at hand. 4. NEVER, EVER eat or drink any of the materials. Here are detailed steps so anyone can reproduce this Awesome experiment at school or home. 1. 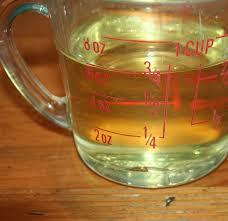 Pour vegetable oil into the bottle until the bottle is about half way full. 2. Pour 1/4 a cup of water into the same bottle. 3.Crunch up 2 Alka-Seltzers and put it on the plate. 4.Drop 8-10 drops of food coloring (your choice). 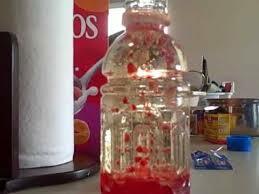 6.Put all the Alka-Seltzer into the vegetable oil, water, and food coloring. 7. 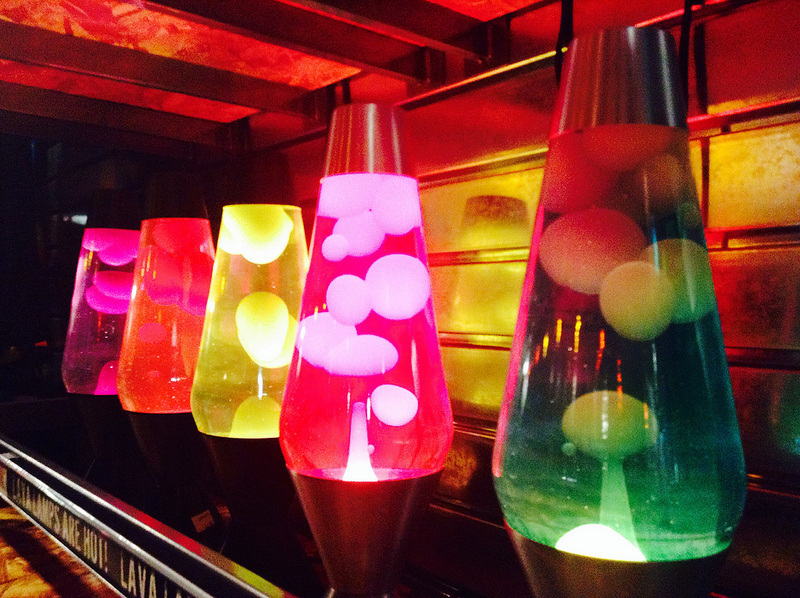 Put the flashlight underneath the lava lamp. 8. Sit back and watch the bubbles form. 9. Add some more Alka-Seltzer if you want. 10. 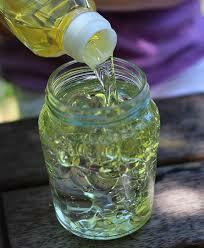 Fill the bottle to the top with vegetable oil. 11.Tip the bottle back and forth and see the Alka-Seltzer/vegetable oil waves when the Alka-Seltzer and oil refuse to mix together. Since this experiment is SO easy, there are no special requirements or needs. Since water and oil do not mix, the water, which is more dense than the oil, sits on the bottom and the vegetable oil, which has a lower density than water, stays on top. When you put in the Alka-Seltzer, it releases carbon dioxide gas bubbles, which mixes with the color. 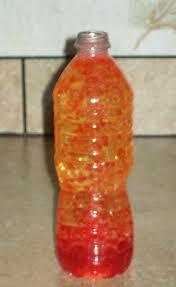 When the gas reaches the top of the bottle, it escapes out of the bottle, while the color floats down. The Alka-Seltzer causes this reaction because it contains both baking soda and citric acid which react with the water, causing it make carbon dioxide gas and sodium citrate. Here are our observation charts. We accepted our hypothesis because all that we said actually did happen when we added all the ingredients. 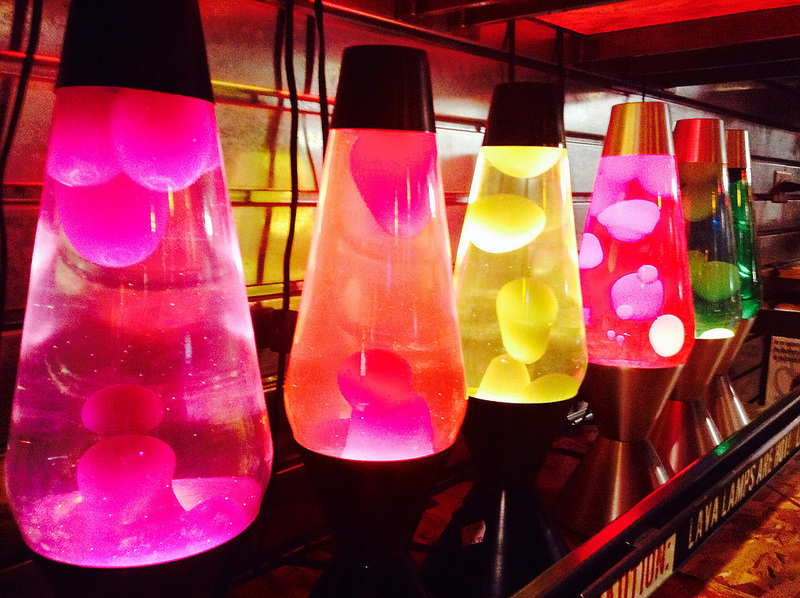 We concluded that water, vegetable oil, and Alka-Seltzer make the most cool looking lava lamp EVER! Please refer to the charts above to see what other combinations we tried. Maria is an 11 year old that loves to sing dance and act. She is in Mr. Benedetto's 5th grade class, and her favorite subjects are writing and math. Genevieve is an 10 year old that loves to play basketball, has two brothers, a dog and a lot of cats. She is in Mr. Benedetto's class, and her favorite subject is math.